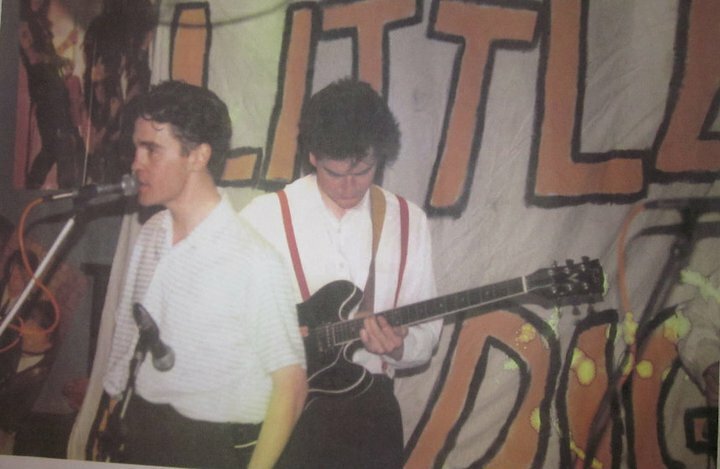 Formed in late 1982 by young musicians who gravitated to Edinburgh from as far afield as Ayr and Wallyford, Little Big Dig settled into a core line-up of Tom Murray (vocals and clarinet), Colin Cairns (bass), Jack Crawford (percussion) and Mark Fleming (guitar and keyboards). Taking further strides from the punk noise that had got them into joining bands years before, their prolific musical output veered from spritely pop to post-rock cacophony. The addition of backing vocals by sultry chanteuse Suzie Hope injected their songs with pop sensibilities. Gigging regularly throughout 1983 and 1984 they were given the mantle of house band for after-hours drinking den La Sorbonne for the duration of the 1984 Edinburgh Festival. Through their manager's connection with Channel 4's The Tube co-presenter Muriel Grey, who was also covering for Richard Skinner's Radio 1 show during his holidays, the band were booked for a session at the BBC Maida Vale studios. 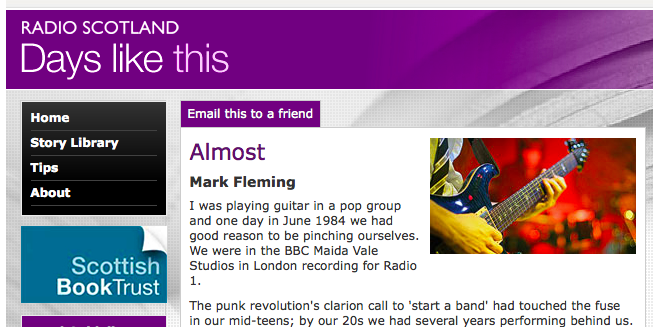 They recorded four songs which were broadcast on Radio 1 on July 17th. The story of those booze-fuelled recordings is recalled in an article published on the Radio Scotland website under the heading Almost. Bassist Cairns departed, enticed by the possibilities London had to offer (becoming a full-time musician and joining 4AD band Dead Can Dance.) Little Big Dig welcomed a new bassist, Kenny MacMillan. If Cairns had developed itchy feet that were to take him to festivals in far-flung locales, his replacement was far more grounded in his home city. MacMillan quickly gelled with the other Diggers in crafting an entire new set of quirky pop and more experimental mood pieces. ​Abetted by Donna McDougall on backing vocals - another Ayr expat - the band travelled to recording studios on the isle of Arran to record new material including 'Janie', 'The Beautiful Suit', 'Do the Dirty', 'Sleep is Good', Big Fire at the Stampworks', 'Mouseface' and 'Humour and the Human Being'. Sadly, an accident involving a drunk guitarist and the studio's reel-to-reel recorder derailed the recordings until they could be reconvened in the Leith Walk flat used as the band's main rehearsal area. Thirty years on these tracks are forgotten gems. The combo of gorgeous melodies, swirling clarinet and acerbic lyrics should have seen Dig rising to the surface among the slew of Scottish indie bands that attained TOTP/The Tube levels of exposure. Layered over the dynamic rhythm section, the guitar lines evoked the Bhundu Boys 20 years before the likes of Vampire Weekend were looking to chiming African bands for inspiration. ​​By 1987 Little Big Dig were less likely to be crafting pop as ear-shredding post-rock, with blistering tracks such as 'Paleoweltschmerz' and 'Crabs.' 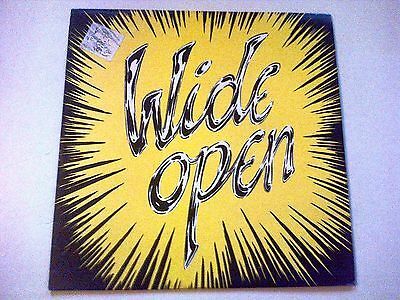 Under the nom-de-plume Leith Band Agnes they also supplied one track for the compilation album Wide Open alongside an eclectic cross-section of 80s Scottish Indie bands: New York Pig Funkers, Shattered Family, The Clan, Jackhammer, A Whole New Jungle and many more. As usual, Dig took the opportunity to fly in the face of convention, recording their track 'Dr Buck Ruxton' as an improvisation in one-take, adding the vocals later (vocalist Murray's mother doing the honours.) The piece is about a notorious serial killer from the 1930s. An accompanying video has been uploaded to YouTube providing unnervingly stark images to complement the eerie music. By the end of 1987, with Murray having moved to London and Fleming undergoing treatment for bipolar issues, the band called it a day. More recently, a snapshot of their arresting output has been lovingly transformed from cassette to digital recordings by MacMillan and Murray, although the latter is now focussing on his work with the brilliantly droll and enigmatic experimental pop/folk ensemble Dumb Instrument.